One of the ways that we understand the Christian life is through metaphors. Jesus use lots of them, especially in the way that he describes the Kingdom of heaven. In Matthew, we get metaphors of the kingdom as likened to the parable of the Sower, the mustard seed, the yeast that works through flour, hidden treasure in the field, the merchant and the fine pearl, and many more. All of these provide a spectrum of views to expand our understanding of what the kingdom of heaven is about. Some of the most Christocentric theologians I have read are people like Karl Barth, Dietrich Bonhoeffer, John Stott, and of course Martin Luther. So focused are their thoughts on Christ that they write, they breathe, they speak, and they lived out Christ in all they do. The early disciples are known to be Christocentric people too. There is no greater calling than to die for Christ. Martyrdom is a metaphor that comes with a heavy price. Such a view is exemplified by the martyrs in the early Church, where martyrdom is seen as an honour. Note that at that time, being a Christian is a liability, where one risks arrests and persecution when found out. Perpetua of Carthage was reportedly martyred in 203 AD after having been imprisoned and suffered through unjust trials. All she needed to do was to renounce Christ, and she would be set free. Despite her father's pleas, Perpetua remained steadfast and sure. Moreover, she had just given birth to a little baby girl. When asked by her father to renounce her Christian identity, Perpetua made this remarkable response. Perpetua was then thrown to the bulls and gored to death. Other reports say she was killed by leopards. You can watch the animated video here. More stories of martyrs can be read from the classic, the Foxes Book of Martyrs. Unfortunately, such news of martyrdom are not as widely read nowadays compared to the Puritan years. Unlike those early years where it is an honour to die for Christ, in our modern comfortable world, it is an exception to even think about dying for Christ. Death is not something that people like to talk about. In some cultures, mere speaking of dying is taboo. Yet, Dietrich Bonhoeffer asserts too that as far as following Christ is concerned, when Christ calls, he also bids the hearer to come and die. I remember the words of Jesus to describe the kind of death Peter will go through. The heroes of the faith use martyrdom as a way to express their faith. The Jews express their faith in God amid the silence as a way to reflect how they feel, and the immense patience in waiting for a God who never seem to come to their rescue. The martyrs give up their lives. The Jewish writers above give in to their despairing. What about modern Christians? Is there a suitable metaphor to help anchor our Christian expression of faith? For this week, I like to suggest one. Think of our spiritual awareness as a form of auto-focus mechanism. When our lives are blurred, confused, or filled with multiple sets of priorities, our spiritual lens is out of focus. As long as our sight is blurred, whatever things we see in this world, it is constantly out of sync with what God wants for us. We cannot decide what is best for us. We cannot choose well, always wanting to take the easy way out to take everything. Should I give more or should I give less? Should I venture beyond my comfort zone, or should I stay? Should I preserve my life now, or should I risk it? In fact, any question that demands us more of ourselves, we will soon find difficult to choose or to make any decision. Sometimes, the most popular approach is NOT to make a decision. Such a life is sadly, out of sync with God, out of focus with Christ. The man who finds the pearl of great value is one who is sharply in focus with what he needs. With this clear perspective, there is no distinction between needs or wants. There is no rationalizing of whether he needs to give up anything or not. Jesus mentions him as one who goes away, sells everything he owns so that he can buy that precious pearl. That pearl is his focused object of value. When he goes away, his mind is on the pearl. When he looks at his possessions, his mind is on the pearl. When he sells away his stuff for money, his mind is still on the pearl. The pearl of great price has captured his heart and mind. Nothing else matters save for that one pearl. This merchant is one with focus. Note that the merchant is an expert in pearls. He goes looking for precious pearls and because of his trade and experience, he knows what the true value is. What about us? When we study the Scriptures, what are we looking for? Are we looking for choice verses to scratch out itchy needs? Or are we reading the Bible with a desire to obey Christ, with whatever it takes? Are we focused on self-needs, or are we focused on God? Like an auto-focus mechanism in a camera, Christians need to cultivate an auto-focus on Christ in whatever they do. Whether it is asking the question, "What would Jesus Do?" or "What is God's will?" or "How do I glorify Christ in this decision making?" our central focus is clear: Be imitators of Christ. When our spiritual cameras are in focus, we can capture sharp images. The sharper it is, the higher the resolution, and the more dynamic the colours and light, the better the picture quality. When Christians read the Bible with a sharp lens to see God, they will learn to let God be God, to subject themselves under the Word. This is important. I know many people use the Bible only when there is a need. Some use the topical references according to their need. Like a spiritual index, it is not God who is the focus. It is the self-interests and self-seeking need that determines what passage to read. For example, I know of some bookmarks and booklets that parade the following need-based references. When people read verses according to their own needs, the focus is on the self, not God. When they read only when they feel like it, their feelings are in focus, not God. When they read the Bible only to look for verses they want to use, their intent is not God, but the fulfilling of self-objectives. In fact, I will venture to say that a life that is out of focus will misinterpret, misrepresent, and misuse the Bible for purposes other than glorifying God. That is a serious breaking of the first three commandments. A life that is in focus will see Christ as clearly as possible. When reading the Bible, ask how can we glorify the name of Christ in our thoughts, our words, and our actions. 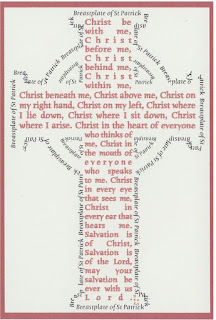 How can we magnify and lift up the name of Christ higher? How can we follow after Jesus better? How can we sharpen our focus on God? Pray. Perhaps, pray with our eyes closed. For our eyes have a tendency to be easily distracted. Memorize Scripture, so that in the dark of night, whether we are lying down or resting on the arm-chair, we can let the Word of God dwell and repeat in our minds and our hearts. Seek God for who God is, not what we make God to be. Cultivate an auto-focus spiritual mechanism in our lives, that in whatever circumstances, we will know for sure that Christ is our focus. 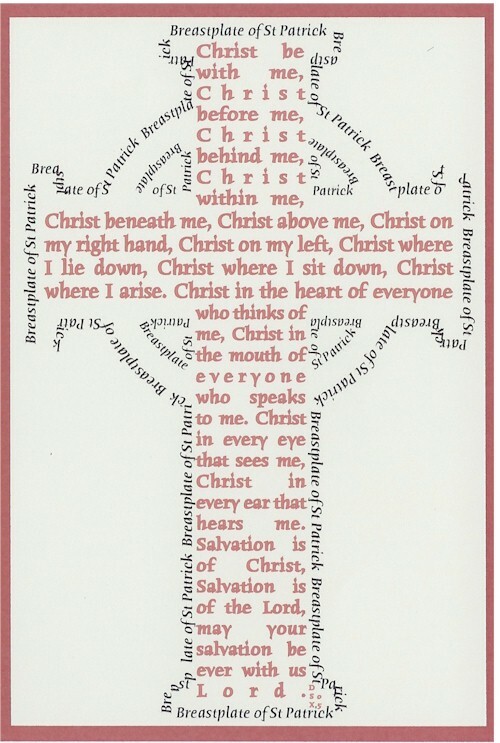 Like the famous prayer of St Patrick of Ireland, may this also be our prayer in developing our auto-focus metaphor. For the full prayer, click here. Be focused on Christ. Be auto-focused on Christ.